Redemptorist Father Herman Brinkmann, 81, died Sunday, Oct. 25, at the St. John Neumann Residence at Stella Maris in Timonium, MD. The Philadelphia-native was born May 27, 1928, and professed vows as a Redemptorist August 2, 1949. He was ordained a priest June 20, 1954. He was one of three brothers who joined the Redemptorists. A viewing will be held Oct. 29 at St. Peter the Apostle Church, 1019 North 5th St., Philadelphia, from 6 to 8 p.m. A prayer service will be held at 7:30 p.m.
A funeral Mass will be celebrated Oct. 30 at St. Peter’s, followed by burial at Holy Redeemer Cemetery. Please pray for the repose of the soul of Father Brinkmann, and for the comfort of his family, friends, and his Redemptorist confreres. 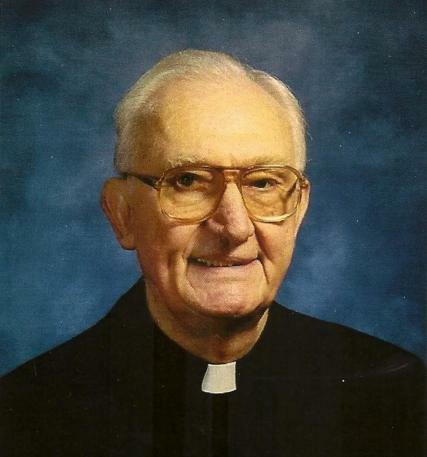 Click here to leave condolences for Father Brinkmann’s family and friends.